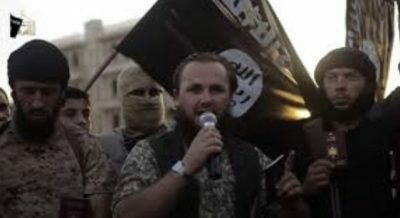 Over the years, the nations of the Western Balkans have seen about 1,000 of their citizens join al-Qaeda’s Syria wing, Jabhat Fateh al-Sham (formerly known as Jabhat al-Nusra), and move on to join so-called Islamic State (IS). They have hailed from majority-Muslim communities in Bosnia, Albania, Kosovo, as well as minority Muslim populations in Serbia, Montenegro and Macedonia. Regional governments have responded by criminalizing participation in foreign conflicts and taking measures against recruiters, radical preachers and jihadist propaganda networks. The threat of attack is real but limited, while years since the alarm bells first went off, it remains unclear what effect returning foreign fighters will have in the longer term. While the Western Balkans is not immune to terrorist attacks, as sporadic attempted attacks and some lone actor shootings have demonstrated, there is little consensus on the true threat returning foreign fighters pose for the region. Indeed, the general perception is that the region holds little propaganda value as a target for jihadists, raising the question of whether they intend to move further into Europe and in what way the phenomenon will manifest itself in the region’s security landscape. Between 250–300 Balkan fighters who quit IS and returned home between 2014-2015 seem to have done so having become disillusioned by the war and disheartened by the infighting between jihadist groups (Gazeta Tema, October 8, 2017). The authorities appear to believe that few of these returnees pose an immediate security risk. In Albania, for instance, media reports have claimed that only 15 of some of the 40 returnees may pose a threat (Reporter.al, March 23, 2016). Others seem unable or unwilling to return, instead remaining in Syria and Iraq with their families and children. Security agencies in Kosovo claim that there are still 91 children (37 of whom were born in Syria and Iraq) and 41 women in areas under IS control. Only seven women and three children have so far returned home (BalkanWeb, April 5). Despite the security implications of leaving a generation of potential jihadist fighters to grow up under the influence of remaining IS leaders, governments across Europe, including those of the Western Balkans, seem hesitant to repatriate those left in Syria and Iraq. Meanwhile, in Bosnia, there are an undetermined number of children born in territories formerly held by IS as a result of “marriages” between Bosnian men and women of other nationalities, Azinovic claims. There are also orphans, adopted by Bosnians, whose nationalities are unknown. The possibility of a large-scale act of terrorism in the Balkans became apparent in November 2016, when security forces in Albania and Kosovo thwarted an attempted attack targeting the Israeli national soccer team during a World Cup qualifying match in Shkodër, northern Albania’s second largest city (Gazeta Express, November 9, 2016). Warning of the planned attack came from Israeli intelligence, which had reportedly intercepted online conversations between Lavdrim Muhaxheri, a Kosovar Albanian militant reportedly killed by coalition airstrikes against IS in Syria in the summer of 2017, and a number of his followers, including recent returnees from Syria (Insajderi, June 8, 2017; Opinion.al, November 14, 2016). A total of 19 people, including the planned attack’s supposed mastermind, were arrested across Albania, Kosovo and Macedonia. In Albania alone, more than 170 people were detained and questioned in connection with the plot, including 30 recent returnees from Syria (Panorama, November 10, 2016). The operation was an example of strong collaboration between regional intelligence agencies and international partners, but it also highlighted significant security vulnerabilities. Since then, the IS influence on populations across the Balkans has been much reduced. Key propaganda and operational mouthpieces—such as Muhaxheri from Kosovo, Almir Daci from Albania, and Ines Midzic from Bosnia and Herzegovina—have reportedly been killed. That has left a significant leadership vacuum for IS supporters in the region, which in turn has left the group’s objectives for its Balkan followers unclear (Insajderi, June 8, 2017; Dnevni List, March 13). Despite this good news for regional actors and counter-extremism strategies adopted across the region, radicalization continues in the Western Balkans, albeit that the ideology is evolving, taking different and possibly non-violent forms. Radical preachers no longer issue calls to action over war-torn territories, but instead hate speech and the incitement of polarization seems to be increasing and intensifying. It is common for weapons originating in the Balkans to appear in war-torn areas across the Middle East, and to have been used in recent terror attacks in the West (see Terrorism Monitor, December 2, 2015). Indeed, this is not unexpected considering the thriving black market and availability of weapons (Balkan Insight, July 27, 2016). Less understood are reports of key Balkan members of IS repeatedly returning to their countries of origin undetected by the security services. Italian media once claimed that Muhaxheri had returned to Kosovo with his closest aides via the Macedonian border, although Kosovo’s authorities quickly denied the reports through an official statement (L’esspresso, December 26, 2016). Bosnian media has similarly raised alarm bells regarding Midzic returning home several times before his reported death in Syria (Dnevni List, March 13). Both cases, although unconfirmed, raised questions over border controls and the Balkan migrant route toward Western Europe. Additionally, organized criminal networks can affect transfers and there have been instances where criminal activities have been carried out by adherents of IS ideology. There is still only limited research into the nexus between IS terrorism and organized cross-border criminal networks, and the links between IS terrorists and organized crime have been widely debated. However, high levels of corruption and the already established organized criminal networks in the Balkans could enable this aspect to flourish and facilitate cross-border movement. Nevertheless, fears of the movement of jihadists from the Balkans into Western Europe should not be overblown, and the situation is at any rate not a one-way trade. There are indications Balkan diaspora communities in the West have already been affected by Islamist ideologies, such as Albanian communities in Italy, and Bosnian communities in Austria (Balkan Insight, January 9). Although these links are yet to be fully explored by the research community, past investigations and terrorism-related trials have helped to shed light on the radicalization processes of some Balkan nationals, dating back to time they spent in the West and links to radical Islamists living in Europe (Balkan Insight, January 9). While Balkan authorities downplay the possibility of an immediate security threat, the injection of political Islam into local religious and political rhetoric more broadly is affecting the region’s ethnically and religiously diverse populations. During the past few months, for instance, Turkey’s President Recep Tayyip Erdogan has repeatedly called on Balkan Muslims to support his political agenda and military operations against Kurdish forces in northern Syria. As Turkey transforms itself from a key regional economic player into a major geopolitical force—often accused in the region of following a Neo-Ottoman agenda—Erdogan has also pressured Balkan governments to take action against investments, businesses, schools and individuals financed by the movement of Fetullah Gulen, Erdogan’s political opponent exiled in the United States (Gazeta Tema, January 21; Klan Kosova, April 3). Indeed, Erdogan is scheduled to hold an election rally in Sarajevo, the Bosnian capital, later this month. The planned rally is a strategic move to strengthen Turkey’s footprint in the region, but it also, since several European countries have refused Turkey’s requests for election rallies to be held in their territories, represents a “slap in the face” for European governments (Balkan Insight, April 4). Such geopolitical concerns increasingly inform Balkan Islamist ideologies and deepen political polarization. In addition to Turkey’s political message, Russia is actively encouraging Slavic populations and adherents to the Orthodox Church to reinforce their political message and agitate around contentious issues, such as the recognition of Kosovo’s independence (BalkanWeb, April 5). The result has been increased friction between Kosovo and Serbia. Recent events and diplomatic disputes have halted further dialogue between the two countries, even though a series of negotiations brokered by the EU over the past few years have led to important advances, often dismissed as merely symbolic (Telegrafi, November 11, 2016). The situation came to a head in recent months with the arrest of Marko Dzuric, the head of Serbia’s Kosovo office, during a meeting with Kosovar-Serb nationalists held in Northern Mitrovica, which strained diplomatic ties (RTK Live, March 26). Initially, regional governments simply responded to the challenges posed by the foreign fighter phenomenon by amending their respective national penal codes to criminalize the departure of nationals to fight in foreign conflicts. Subsequently, governments have adopted national strategies to counter violent extremism, along with detailed action plans for their implementation (see Terrorism Monitor, January 27, 2017). Balkan strategies align with the “prevent, pursue, respond” model established in 2010 by the EU, which focuses on policing, community outreach and education aimed at countering extremist propaganda, as well as the monitoring of social media and internet traffic for terrorist-related activity. These strategies have been adopted across the Western Balkans; Albania, for example, established its Center for Countering Violent Extremism as a hub for regional coordination and capacity development of local stakeholders. Territorial losses for IS in Syria and Iraq do not necessarily mark defeat for the group, rather it may result in a transition. A new iteration of IS may rely on insurgency-based tactics and local support groups already established in local communities. These could conduct small-scale terrorist attacks, which are difficult to predict and prevent using hard security measures. For IS, this could boost their followers’ morale and potentially aid recruitment. It marks a challenge for the authorities in European countries too, where IS has proved able to recruit. As a result, authorities across the region should anticipate significant ideological pushback from nationalist and right-wing ideologies. In the Balkans particularly, that risks damaging the existing frail relations between different ethnic groups. Social cohesion, in addition to the strengthening of independent institutions able to respond to immediate crises, is one of the key tools necessary to counter threats from radical ideologies that seek division between communities. In this regard, and in light of geopolitical players utilizing nationalist narratives to widen their support among local populations in the Balkans, the EU should emphasize the Balkans historical ties to Europe, ensure a path for Balkan nations toward European integration and guarantee their future within the EU.